As Athletes Go All-Natural, What Are The Gatorade Product Managers To Do? Quick question: what happens to a U.S. football coach if his team wins the big game? 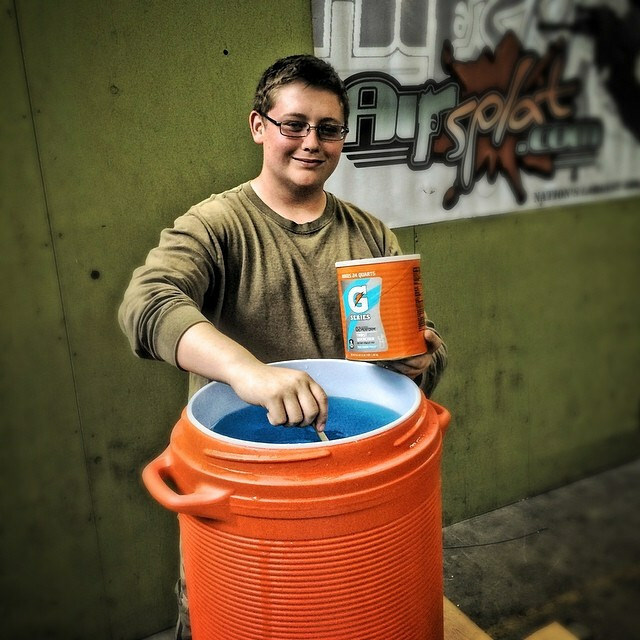 If you said ″he gets a big container of Gatorade poured over his head″ then you were correct. The reason that this has become such a staple of the sport is because just about every major sporting event has a lot of Gatorade lying around. Who wouldn’t want this kind of success on their product manager resume? However, things are starting to change and the Gatorade product managers are going to have to do something to deal with it. The first inkling that the Gatorade product managers had a problem on their hands was when the folks who were organizing the Border Boulder 10k race dropped their long time sponsor, Gatorade, and instead went with a new player named Nuun. Nuun is a low-calorie electrolyte drink that has been sweetened with extract of monk fruit and stevia plants. In contrast, Gatorade is neon colored beverage that lists a long collection of unrecognizable chemicals on its ingredient list. What’s starting to happen is that a number of the younger athletes, runners in their 20’s and 30’s, have started looking for products that are made with all natural ingredients. The reason for this is because while they are in training, they take very good care of their bodies and they carefully watch their diet. The last thing that they want to do is to show up on race day and then drink energy drinks with a lot of artificial ingredients in them. The reason that electrolyte drinks are made available to athletes is because while they are performing, they will be losing electrolytes through their bodily fluids. Generally, at an event athletes are required to drink the race’s official beverage or carry their own. What the Gatorade product managers are starting to see is that more and more runners are bringing their own and they are now starting to pressure the event organizers to switch sponsored brands away from Gatorade. Clearly the Gatorade product managers have an issue on their hands. Their product is not being viewed as being a healthy product and so customers are starting to shy away from it. Gatorade is currently sweetened with simple sugars and contains artificial flavors and colors which the company says is done in order to provide visual appeal. The company has said that they feel very good about the content of their product. Gatorade has dealt with issues like this in the past. Back in 2010, consumer demand caused the product managers to go ahead and remove high-fructose corn syrup from their Gatorade product. Additionally, a petition to remove an ingredient called BVO which kept ingredients mixed consistently was removed from the product due to health concerns. Gatorade has experimented with creating a healthier product that they called G Series Natural; however, they ended up discontinuing it two years ago. So what are the Gatorade product managers going to have to do? It’s becoming clear that Gatorade’s target market, athletes, are starting to become more aware of what they are putting into their bodies. What this means is that Gatorade’s current list of confusing chemicals is not going to appeal to this set of customers and it’s going to provide an opportunity for startup all natural drink providers. In the short term what they are going to have to do is to reformulate their product. For their existing products, what they are going to have to strive for is to change their product development definition and create a shorter, more easily understood list of ingredients. At the same time, they are going to have to get busy creating new all natural products. No, these products may never be as popular as their main products, but at least runners will be buying from them and not from other companies. How great would it be to be the product manager for a product that had been the premier sports drink product for decades? Every athlete knows your product and it’s made available at almost every sporting event. However, the Gatorade product managers are facing their greatest threat yet to their product manager job description – customers who want all natural sports drinks. What has been happening is that runners in their 20s and 30s have decided that the confusing list of chemicals that goes into creating the Gatorade product is not something that they want to be pouring into their finely tuned bodies. Instead, they are asking race officials to replace Gatorade with all-natural products. The Gatorade product managers have listened to their customers in the past and made changes to their product. Now they need to listen again and simplify their existing products and use their market knowledge to create all naturel products in order to keep the completion shut out of this market. Question For You: Do you think that the Gatorade product managers will need to market their all-natural products at the expense of Gatorade? I am more than comfortable admitting that I become lost very easily. Even in my home town where I’ve lived forever, when I’m told to go somewhere and get something, the chances are very good that I’ll have no idea where I’m supposed to go. This is why I own one of those fancy Garmin navigation systems. However, I rarely get it out. Instead, I use the Google maps app on my phone and it tells me where to go. If you were a product manager who worked for a car company, would my behavior be a boon or a threat to you? When Is A Diet Soda Not A Diet Soda?